A national campaign to remove all fax machines in use across the NHS has been launched by Leeds Teaching Hospitals NHS Trust. The Trust, which has committed to removing 95% of its 340 fax machines by the end of the year, is calling upon other organisations to make a similar pledge to bring the NHS out of the dark ages. Richard Corbridge, Chief Digital Officer at Leeds Teaching Hospitals NHS Trust said: “There is a huge disjoint in the digitisation in the NHS. While some areas are looking at artificial intelligence and robotics, others are still faxing patient information from one area of a hospital to another. It’s time to finally let go of archaic fax machines, the same way other sectors did decades ago. 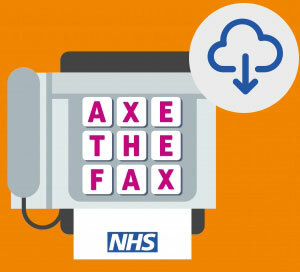 The Royal College of Surgeons, who earlier this year said that the NHS remained ‘stubbornly attached to using archaic fax machines’ following research that identified more than 8,000 fax machines still in use across the NHS welcomed the new Axe the Fax campaign. Richard Kerr, chair of the Royal College of Surgeons’ Commission on the Future of Surgery, said: “Well done to Leeds Teaching Hospitals for leading the way and pledging to ‘axe the fax’. We hope that other NHS trusts take note and join the campaign. Together with the help of Silver Buck – a specialist in digital health communications, the trust has launched a programme to support other organisations in obtaining stakeholder buy-in and to identify, locate, remove and replace the role of the fax machine with more up to date technology. The toolkit includes top tips to axe the fax, a pledge card, communication assets and a dedicated email address for additional support. 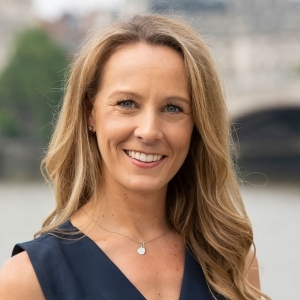 Deputy Director of Policy and Strategy at NHS Providers, Miriam Deakin, said: “This campaign is a positive step led by a Trust to harness digital technology. It will help to improve efficiency and care and relegate fax machines to the past. It’s an example of Trusts innovating to provide a more convenient and reliable service for patients. This saves money for the health service and time for hard-working NHS staff. Silver Buck partners with Leeds Teaching Hospitals on Axe the Fax campaign Silver Buck is recruiting!